What Is Your Favourite [pop/soda/soft drink]? I'll keep this one short but sweet (I did a pun!) - what's your favourite kind of pop? Mine's DA BIRCH (as it's called in its native Newfoundland). 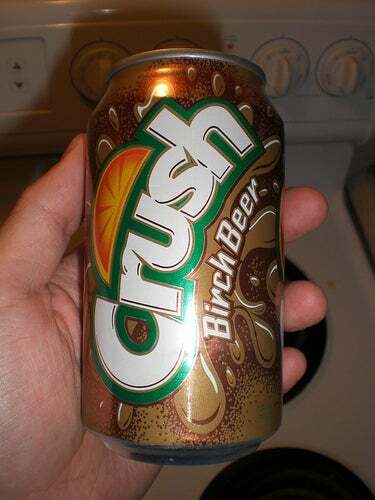 Supposedly it's some combination of cream soda and root beer, but my god is it amazing! Thing is, it (and another one of my favourite pops, Tahiti Treat)don't seem to be produced outside of the small Canadian province of Newfoundland, leaving only Newfie shops, delis and restaurants (which are increasingly rare in an increasingly-Asian Ontario) as my source of them. It once went into Alfie's Deli - the best sandwich place on Earth, in my native Sarnia, ON - and bought two cases of Birch for about $45 all squared.